Take YOUR Financial Planning Snapshot! Custom Evaluation of My Financial Security. Encrypted & Secure process. Easy Future Minded Assessment of my present portfolio of assets and liabilities. Thank you for trusting Capital's Financial Planning Prowess! Enjoy easy Online Account Access at your fingertips! Our success is measured by our clients' success! We bring over 35 years of experience & seek out all options to tailor your wealth management portfolio to your specifics. 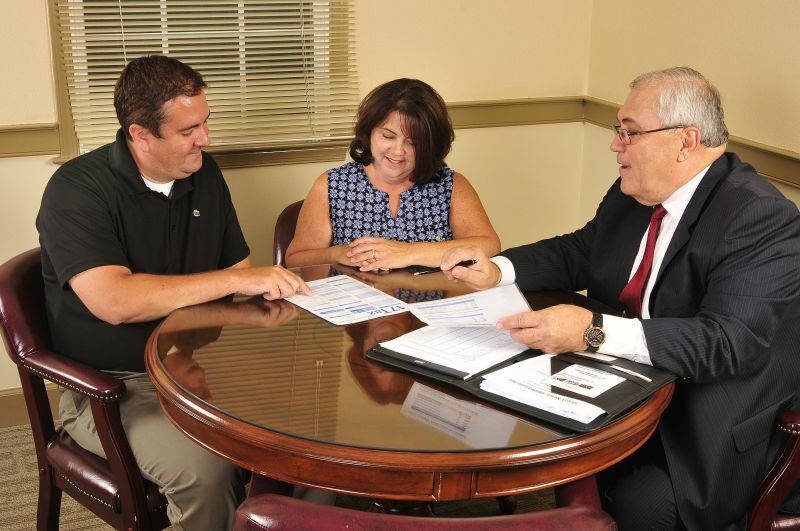 As an Independent Full Service Financial Planning Provider, we are not limited to set product offerings. We are glad you are here! Please explore our site for answers to all kinds of questions! We have many resources here and shared strategies for the different avenues towards your financial health and well-being. By planning ahead for the many different stages of life and the many specifics that sometimes go hand in hand, we would suggest you will more successfully navigate the “what ifs” of life if you plan ahead! Whether you are just starting a search for investment choices specific to your own situation or if you are already in a relationship with Capital Insurance and Investment Planning - Welcome! Please take advantage of the many different resources available here to make educated financial projections that sometimes can be difficult to assess without the use of calculators. How much do we have to save each year to retire comfortably? What is the best way to plan for our kids' college education? How do I protect my family should I get hurt? We pride ourselves here as not beholden to anyone but YOU. An important distinction here, we are not limited to certain products when seeking out your best fit options. This is not always the case when we compare investment planners. Many financial advisors can only represent certain product offerings that may ultimately limit what they can or are possibly incented to offer. Conversely, we don't let product alignments drive the process. In fact we are aggressively seeking out no load or low load investment options on your behalf. We understand and represent you as if that investment were our own. It's just the way we roll. We have many vehicles to help you grow your assets into a solid product portfolio – one that serves you and your family, at all of the various stages of life, not one size fits all, but customized to your specific needs. At any point, should you have questions, we encourage you to call; we are happy to lend a hand ... without being heavy handed in the process! We have many videos, newsletters, and tools to help you evaluate the many considerations that come into investment planning. Our approach is to provide you with the most current and authoritative industry information while making you an integral part of our process. These are made available to you for your own base of information, from often third party validation sources, but should you rather us save you the homework, no worries! We are only too happy to assist. We hope ultimately, it both helps you gain a better understanding of the financial concepts behind wealth accumulation, retirement and estate planning, as well as an appreciation too for the value of working with a financial professional skilled in walking through the particulars, assisting you in meeting objectives to better protect you and your family's dreams. 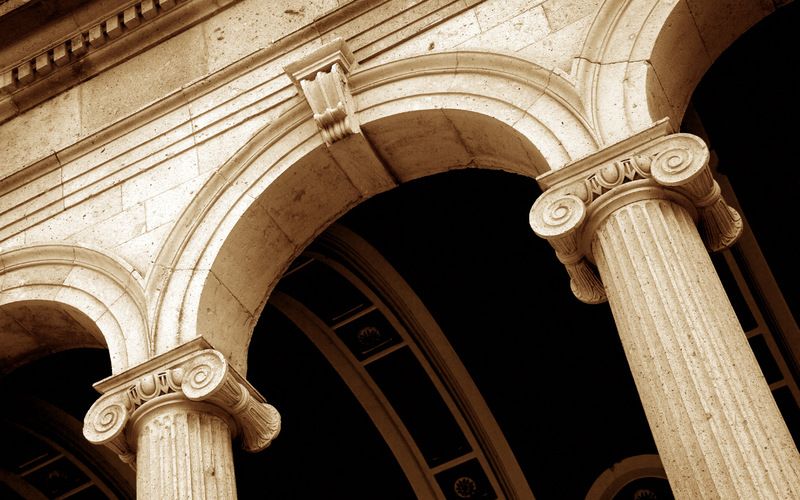 Wealth management is an ongoing process, as your needs change and our world does too. Our job is to stay on top of industry cues, know what changes are trending, and help you navigate the twists and turns. Grab the popcorn and check out some of our educational videos now! Trust is earned. The fact that we are over 30 years now trusted to manage the life blood of people's futures ... we are humbled. Thank you to those of you who have allowed us the opportunity to educate and counsel you on choices that empower you to take a next course of action to better protect and preserve the quality of life for you, and for some of you, your families too. Planning for a dependent adult child - Making decisions for, and with, an aging parent - Facing a list of executor of the will responsibilites after you've been appointed as estate executor; these are matters that we have already navigated, learned and taken stock of how to best approach the big, sometimes difficult, matters in life. We take pride in being well equipped to assist in what might very well be an unfamiliar journey for you. And that's okay ... because we have your back! Is long term care insurance an investment I really need to make? Are tax deferred better than taxable investments? What's enough when it comes to savings? Plug in your specifics for some strategic planning answers! Of course, we are happy to help walk you through all of this in an effort towards getting strategically savvy with assets! Guaranteed issue life insurance, insurance quotes, term or life, we are Risk Management pros. We like the terminology “Insurance Investment Broker” ... because we get it. Insurance sometimes feels like the last place we really want to spend our hard earned money – so as an Insurance Investment broker, we are looking at your contribution as a possible investment vehicle as well; one that can function like an insurance policy, in hopefully the unlikely event that you actually have to use it as such, but also with a goal to growing regular contributions into what ends up as return on investment otherwise! Our job is to measure your priorities, educate you about your options, meet you where your budget leads and create a solution that maximizes the value ultimately created. Part of our team, Rosemary Burge, is especially seasoned in areas of Senior Health Insurance, LTC Insurance, and Final Expense Insurance. President, John Stanojev can counsel on Estate planning, Executor Duties, and Charitable Giving that in the planning phase of both insurance and investment portfolios, priorities can overlap and may want to be collectively considered. We are able to take a comprehensive look as we consider best fit options. Replacement of Income due to disability is Risk Management Minded thinking. Do you work in a higher risk capacity? Do you have special skills that should you incur an injury, it could wreak havoc on your financial stability? Let us help you evaluate the risk and prepare for the proverbial rainy day. We continue to bring value to the Doylestown, New Britain, Chalfont areas and the surrounding Bucks, Montgomery, and Philadelphia Counties beyond, in the form of informational events. We encourage you to periodically visit our events page or our Facebook page for upcoming seminar dates. We serve as an educator in tandem with the Philadelphia Community College's Corporate Solutions program to help area CPA's earn continuing education (CPE) credits for their certification requirements. Program offerings run the gamut. A popular seminar in past has been a “How To” Roadmap for business owners on fiscally sound operation tactics; creating a sustainable environment of growth; knowing how to attract and keep a solid team in today's world. Prospective employees have their own laundry list and we can help business owners evaluate employee group benefit options and how to implement programs that still are contained within responsible budget boundaries. It is our passion to assist business owners in creating a stable yet growth tracking operation as their own reality. We have worked with industry professionals, culturally diverse groups for topics relevant and specific to them; we have even brought the classroom to you! Please inquire about hosting an employee centered program for your businesses here. 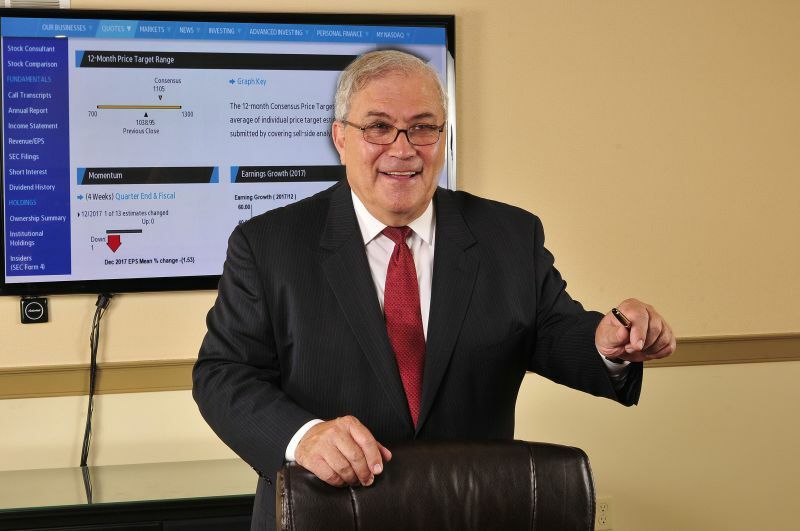 As a Certified Registered Financial Consultant (RFC) with over 30 years of learning and educating others, Capital Insurance & Investment Planning's President, John E. Stanojev, is a great resource, who cares a great deal about the community, and the individuals, that surround him. He counsels on the multitude of ways of how making smarter financial decisions can make a tremendous difference for an individual or a business. He advises businesses about creating sustainable growth, helping other investors and financial professionals grow too. Often this kind of accessibility to answers has been in the framework of a seminar! Even more family or employee centered programs have been a part of our seminars in past. He speaks to parents about their family's security or college planning aspirations. He helps business owners understand how they can demonstrate a commitment to existing or prospective team members with employee group benefit options. Contact us with your questions about some of our upcoming planned presentations. Be sure to check out our risk management focused & educational events! We seek to serve our Bucks and Montgomery County neighbors and feel strongly about service. Did you know our very own John Stanojev has been helping vets, seniors and disabled individuals ... and of course a lot of children too as Fundraising Chair for the “Friends of the Borough Dam” event each year? Don't forget your fishing pole! 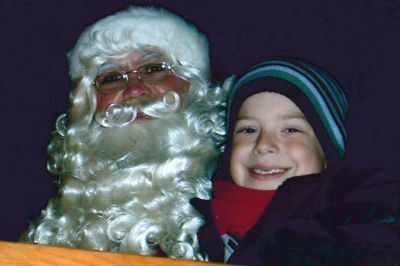 And Shhhh... don't tell the kiddies who played Santa atop the cherry picker at Doylestown's last Christmas tree lighting in the center of our very own Doylestown! John is a Who's Who, Chamber, Rotary and all around wonderful friend and active volunteer in beautiful Bucks County and beyond. Our hope is that your virtual visit today will help you understand the opportunities and potential rewards that are available to you when you take a proactive approach to personal finance - by understanding the financial concepts behind wealth accumulation, financial planning, retirement and estate planning. More importantly, we hope you see the value of working with a registered and trained financial professional as you pursue financial goals. We're here to help educate you to help you achieve the financial security you desire, for yourself and your family. We hope you take advantage of our online resources and visit us often! Be sure to add our site to your list of "favorites" in your Internet browser for easy access to tools and information a next time! We frequently update our information, and we wouldn't want you to miss any developments in the area of personal finance. We welcome you to take advantage of our monthly newsletter. Send us your name and email address for informative updates – stay current in the ever changing lay of the land so we can help you stay nimble and proactively positioned for changes that may affect you. Subscribe here. In 2017, John Stanojev was recognized by the International Association of Registered Financial Consultants for business integrity; subjected to completion of other measures beyond, he qualified and was awarded the credential of Master Registered Financial Consultant. Capital Insurance and Investment Planning values and protects this earned distinction by staying true to an industry standard that ensures the proper management of your wealth. Our hope is that you join the growing community that Capital Insurance & Investment Planning continues to serve for the 30 years that we have been in business. To learn more about who we are, call us with your questions or feel free to schedule a visit to our office. We offer a complimentary no obligation free initial consult when you do!